Celebrate the season with Coca-Cola! A staple of the holiday season, Coca-Cola brings a classic charm to decorating. 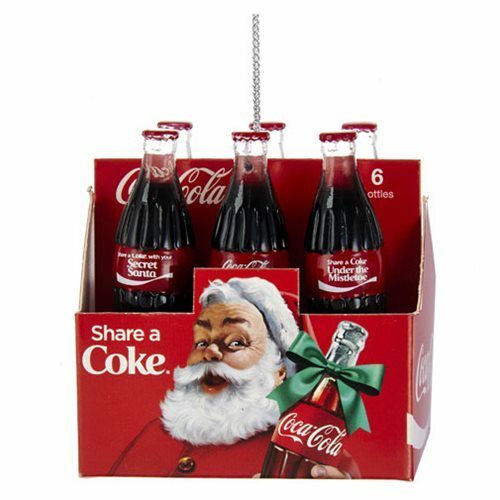 Show your sprit with the Coca-Cola Bottle 6-Pack 2 1/2-Inch Resin Ornament. Ages 14 and up.